What is in Colic-Ease gripe water that makes it so effective when battling colic? Colic-Ease gripe water ingredients are a unique blend of five separate herbal oils (listed below) ensuring relief from each of the symptoms associated with colic. These symptoms include excessive gas, reflux, cramping, intestinal spasms and frequent hiccupping. Our gripe water ingredients have also been proven effective during teething and when introducing new or solid foods into your baby’s diet. Gripe water is a generic term - it does not describe one product in particular, but indicates instead an entire group of products that relieve colic symptoms (such as different brands of cough syrup to relieve coughing). Because there are so many different gripe water brands, each with completely different ingredients, it’s important that you refer to a specific brand when asking about gripe water safety. With Colic-Ease brand gripe water, your baby receives only gripe water ingredients that are listed on the FDA's GRAS list. Under sections 201(s) and 409 of the Federal Food, Drug, and Cosmetic Act (the Act), the FDA recognizes the safety of these ingredients when consumed. Colic-Ease ingredients are blended in a State-of-the-Art 75,000 sqft. Pharmaceutical-grade FDA approved lab with a GMP (Good Manufacturing Practices) protocol certification. The Colic-Ease brand strictly adheres to DSHEA, the FDA’s manufacturing procedures and guidelines. 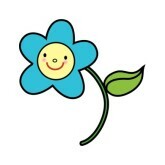 Note: Homeopathic medicines do not follow the DSHEA procedures and guidelines. Colic-Ease gripe water does not depend on the use of non-herbal ingredients such as sodium bicarbonate or vegetable carbon to provide relief. The proven benefits our perfect blend of herbal oils provide is the standard no other remedy can duplicate. Please see the following safety reasons why these non-herbal alternatives are not considered for use. Charcoal (vegetable carbon) used in homeopathic formulas is recommended "for adult use only" for a very short period of time. Side effects of charcoal include constipation and black stools. More serious, but rare, side effects are a slowing or blockage of the intestinal tract, regurgitation into the lungs and dehydration. Be cautious when combining with medicines. Activated charcoal absorbs substances in the stomach and intestines. Taking activated charcoal along with medications taken by mouth will decrease how much medicine your body absorbs, and decrease the effectiveness of your medication. Sodium Bicarbonate (baking soda) The baking soda manufacturers state on the warning label on their product, "WARNING" - Except when advised by a physician: Do not use the maximum dosage of this product for more than 2 weeks; Do not give to children under 5 years of age;" It is important to note when a baby is colicky and/or gassy, it does not mean that the baby has an acidic stomach - it may very well be an alkaline stomach. Introducing sodium bicarbonate (an alkaline) into the baby's diet over a period of days or weeks can cause the pH in the baby's stomach to become too alkaline and may actually cause the baby to have a colicky condition again. Sodium bicarbonate has been shown to deplete and interfere with Folic Acid and Iron, indicating that it may affect the function or absorption of the two. What Ingredients are in Colic-Ease Gripe Water? We have compiled a complete description of each of the Colic-Ease gripe water ingredients below. See for yourself how all of these ingredients were carefully selected to build our unique formula. According to botanist James A. Duke, Ph.D., retired from the US Department of Agriculture and author of The CRC Handbook of Medicinal Herbs, "Dill seed is truly miraculous for infant colic, it can save a parent's sanity”…Dill is [also] used by herbalists to promote [the] flow of breast milk." "Dill water works" says Daniel Mowrey, Ph.D. and Director of The American Phytotherapy Research Laboratory in Salt Lake City, Utah and author of The Scientific Validation of Herbal Medicine. "It's gentle enough for infants." Dispels flatulence, stimulates appetite and settles the stomach. 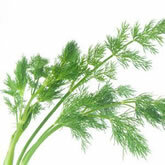 Dill owes its action to its ability to inhibit the growth of several bacteria (staphylococcus, streptococcus, pseudomonas and Escheria coli. This effect suggests that it might help prevent gastrointestinal illness-infectious diarrhea caused by these same microorganisms. Traditional herbalists use this herb for its anti-foaming action that helps break up gas bubbles. Helps relieve flatulence and indigestion. Caraway belongs to a class of herbs called carminatives - plants that are helpful in easing gastrointestinal discomfort, including gas. The essential oils derived from this group of plants help alleviate bowel spasm. 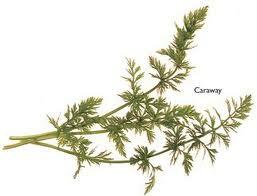 In addition, studies have shown that caraway oil has antibacterial and larvicidal properties. Its actions are analgesic, anesthetic, anodyne, anti-anxiety, antibacterial, anti-parasitic, antiseptic, diuretic, mildly expectorant, fungicidal, muscle relaxant, soporific, stimulant, tonic, urinary antiseptic. Caraway is considered a useful remedy in the flatulent colic of infants, and is an excellent vehicle for children's medicine. Used by herbalists to aid digestion and to relieve flatulence and vomiting. 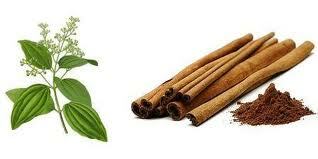 Active constituents: Various terpenoids found in the oil are believed to account for cinnamon's medicinal effects. Important among these compounds are eugenol and cinnamaldehyde, both of which are potent anti-fungal compounds. Its actions are carminative, astringent, stimulant and antiseptic. 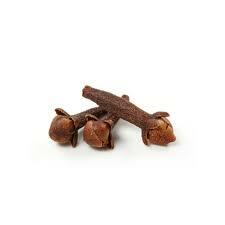 "The cloves herb keeps food fresh because the main active component of cloves is eugenol, which has long been known to help kill bacteria and viruses" says Gary Elmer, Ph.D., and Associate Professor of Medicinal Chemistry at the University of Washington School of Pharmacy in Seattle. By killing bacteria, eugenol helps keep meat fresh and prevents stomach upset, diarrhea and wound infections. Medicinal properties: Antiseptic, antibacterial, antiviral, antiseptic, analgesic, blood thinning, anti-inflammatory, healing, mental stimulant, sleep-inducing, relaxing. Digestive: Colic, dyspepsia, nausea, diarrhea, gastroenteritis, sluggish liver, flatulence, intestinal parasites, worms and their eggs. This herb relieves flatulence and indigestion, possesses antispasmodic, aromatic, carminative, expectorant, stomach properties and is also used as a tonic. Herbalists us cardamom seed oil as a remedy for indigestion, gas, vomiting, abdominal distention, belching, nausea and heartburn. 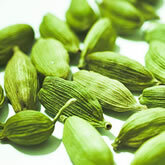 Cardamom relieves digestive stagnation, soothes the stomach and stimulates normal gastrointestinal function. Cardamom contains cincole, terpinae, terpinen, limonene, sabinene and terpin as formic or acetic esters. The oils contained in Cardamom have smooth muscle relaxant properties, which within the gastrointestinal system allow it to have a carminative and antispasmodic activity. Deionised Water (allows Colic-Ease to be ingested in liquid form, not as a pill or capsule). Polysorbate 80, derived from the condensate of fruits or seaweeds and the fatty acids of vegetable oil, functions as an emulsifier, holding water and oils in suspension (insuring that each dose has the correct ratio of water and herbal oil - that is why there is no need to "shake" before using). *Sodium Benzoate, an FDA-approved, polyunsaturated fat found naturally in organically grown cranberries and prunes (provides the strongest, proven protection against bacteria and fungal growth, safely and gently). *Sodium Benzoate and Potassium Sorbate are very important ingredients that when used together inhibit bacterial, mold and yeast growth gently and safely. They should be included in all gripe water formula to provide the strongest protection against all of these contaminations. In 2008 another brand of gripe water experienced a product recall due to the bacteria Cryptosporidium that was confirmed to have contaminated their product batch (20,000 bottles) because they were not sufficiently protected against bacterial growth.